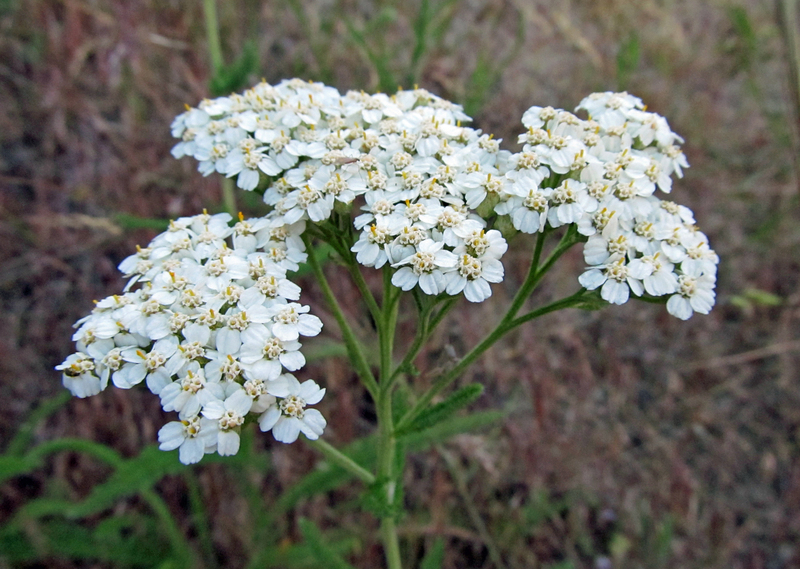 Few plants are as ubiquitous and widespread as the common yarrow, Achillea millefolium. A suite of strategies have made this plant highly successful in a wide variety of habitats, and it is a paragon in terms of reproduction. Its unique look, simple beauty, and tolerance of tough spots have made it a staple in many gardens; however, its hardiness, profuseness, and bullish behavior have also earned it the title, “weed.” Excess water encourages this plant to spread, but in a dry garden it tends to stay put (or at least remain manageable), which is why it and several of its cousins are often included in or recommended for water efficient landscapes. Common yarrow is in the aster family (Asteraceae) and is one of around 85 species in the genus Achillea. It is distributed throughout North America, Europe, and Asia. 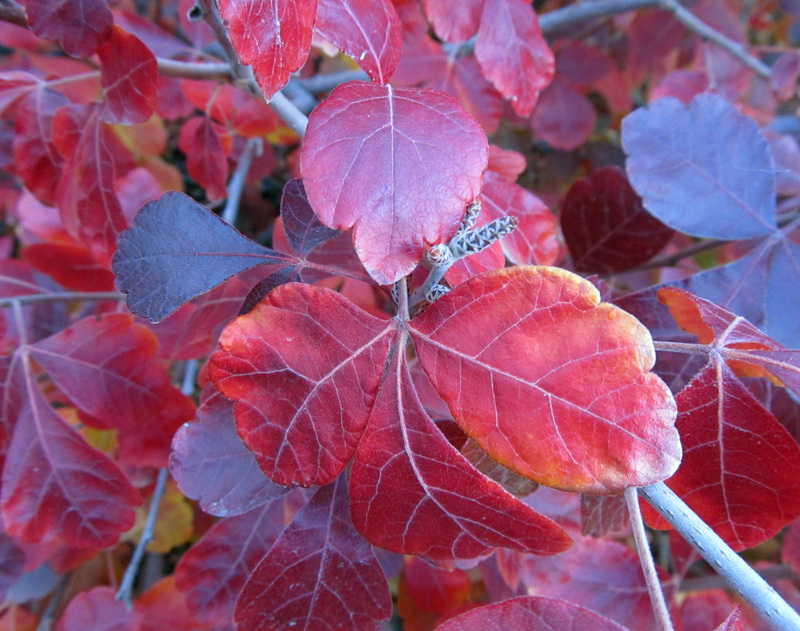 European plants have long been introduced to North America, and hybridization has occurred many times among the two genotypes. Yarrow begins as a small rosette of very finely dissected leaves that are feathery or fern-like in appearance. These characteristic leaves explain its specific epithet, millefolium, and common names like thousand-leaf. 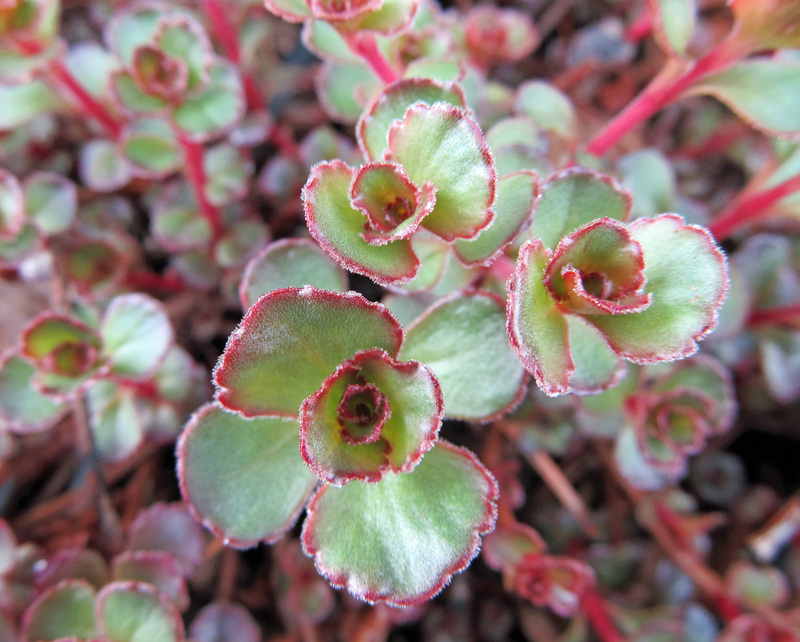 Slightly hairy stems with alternately arranged leaves arise from the rosettes and are capped with a wide, flat-topped cluster of tightly-packed flowers. The flower stalks can be less than one foot to more than three feet tall. 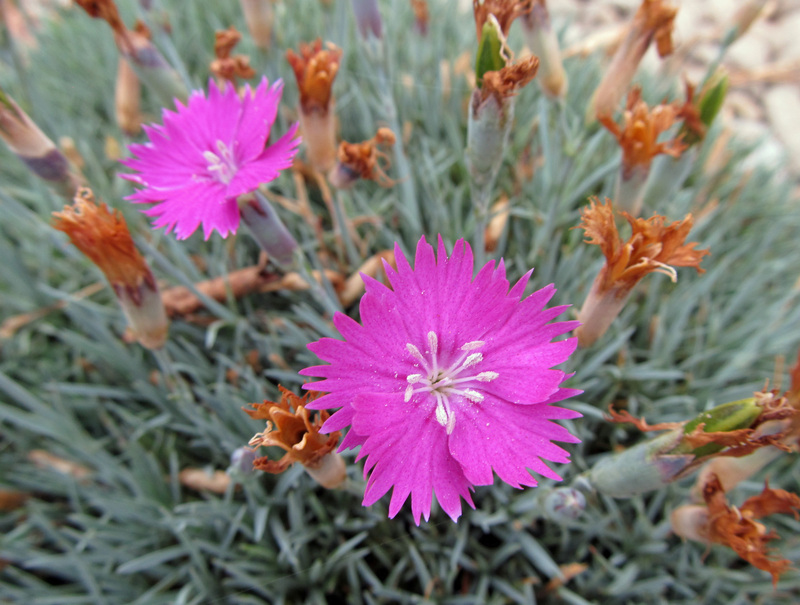 The flowers are tiny, numerous, and consist of both ray and disc florets. Flowers are usually white but sometimes pink. The plants produce several hundred to several thousand seeds each. 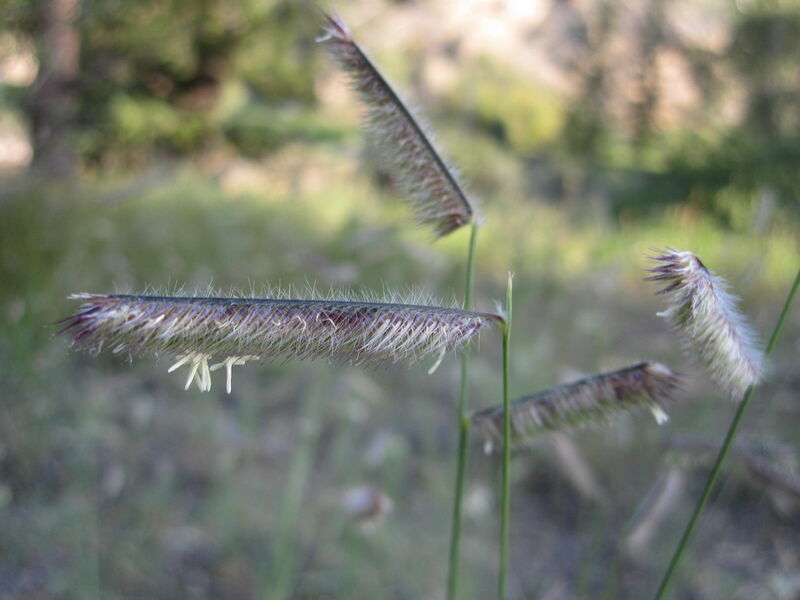 The seeds are enclosed in tiny achene-like fruits which are spread by wind and gravity. Yarrow also spreads and reproduces rhizomatously. Its roots are shallow but fibrous and abundant, and they easily spread horizontally through the soil. If moisture, sun, and space are available, yarrow will quickly expand its territory. Its extensive root system and highly divided leaves, which help reduce transpiration rates, are partly what gives yarrow the ability to tolerate dry conditions. 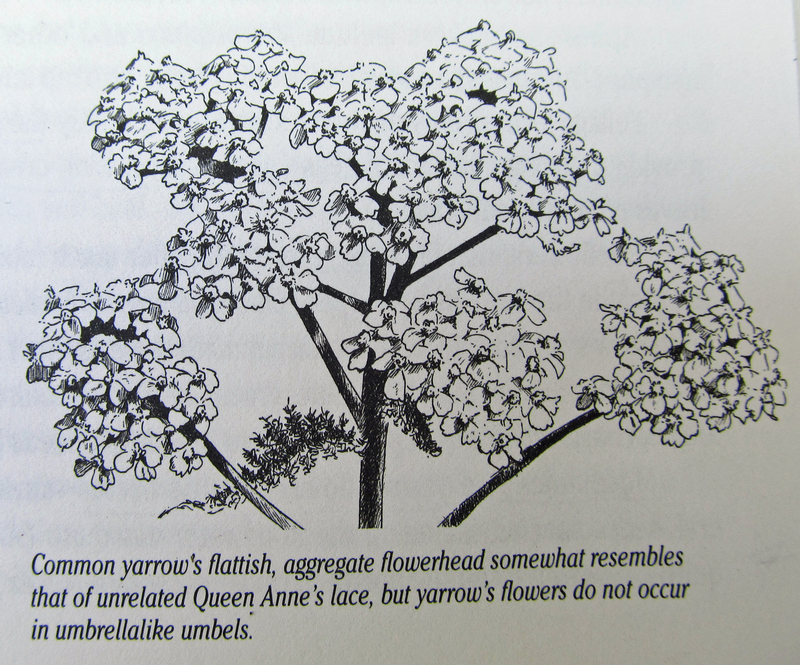 Illustration of Achillea millifolium by Amelia Hansen from The Book of Field and Roadside by John Eastman, which has an excellent entry about yarrow. Common yarrow has significant wildlife value. 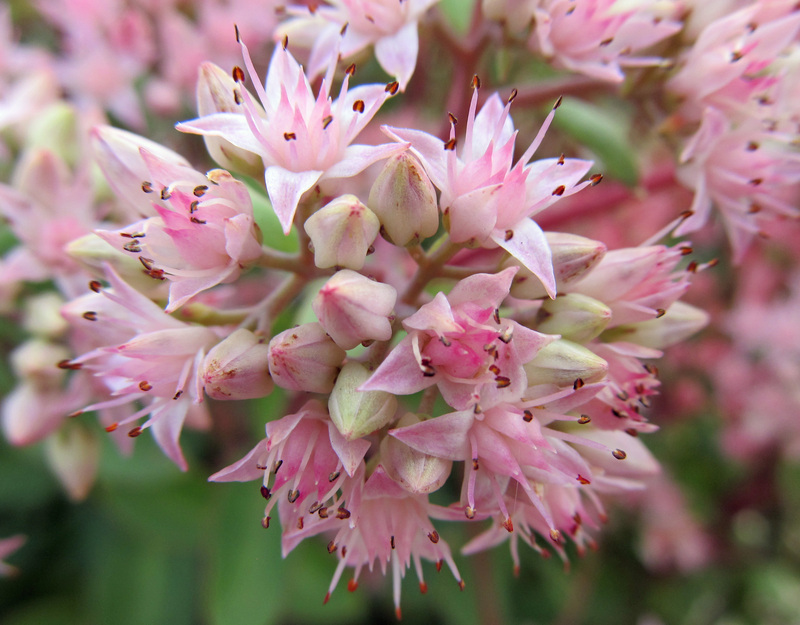 While its pungent leaves are generally avoided by most herbivorous insects, its flowers are rich in nectar and attract bees, butterflies, beetles, flies, and even mosquitoes. Various insects feed on the flowers, and other insects visit yarrow to feed on the insects that are feeding on the plant. Despite its bitterness, the foliage is browsed by a variety of birds, small mammals, and deer. Some birds use the foliage in constructing their nests. Humans have also used yarrow as a medicinal herb for thousands of years to treat a seemingly endless list of ailments. 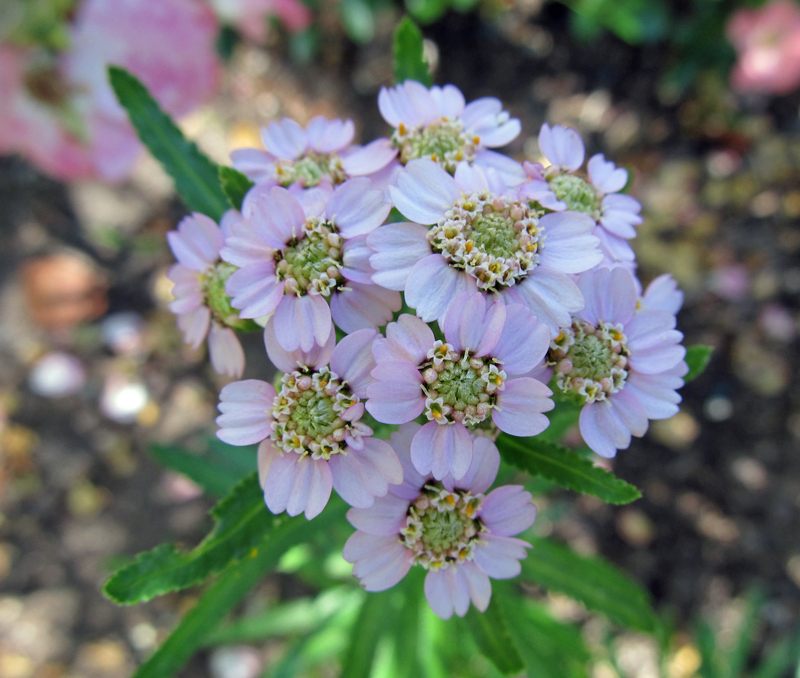 Yarrow’s popularity as an ornamental plant has resulted in the development of numerous cultivars that have a variety of flower colors including shades of pink, red, purple, yellow, and gold. 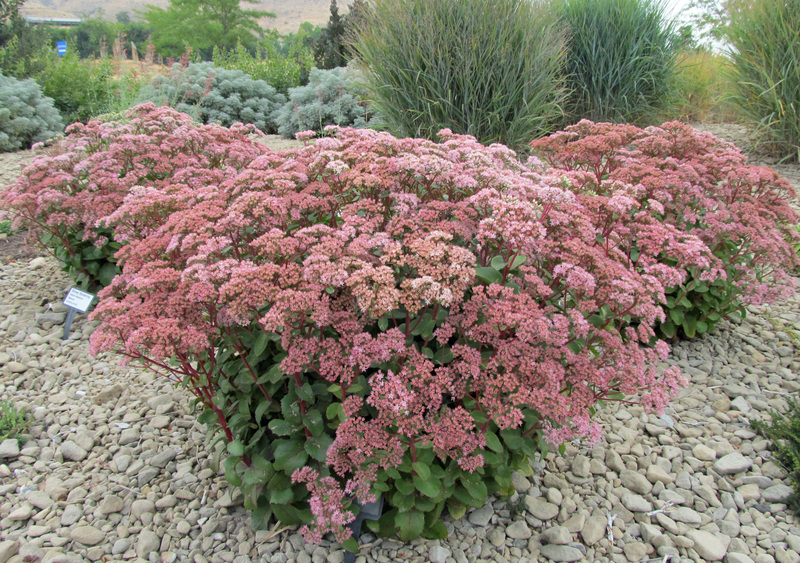 While Achillea millefolium may be the most widely available species in its genus, there are several other drought-tolerant yarrows that are also commercially available and worth considering for a dry garden. Achillea filipendulina, fern-leaf yarrow, is native to central and southwest Asia. 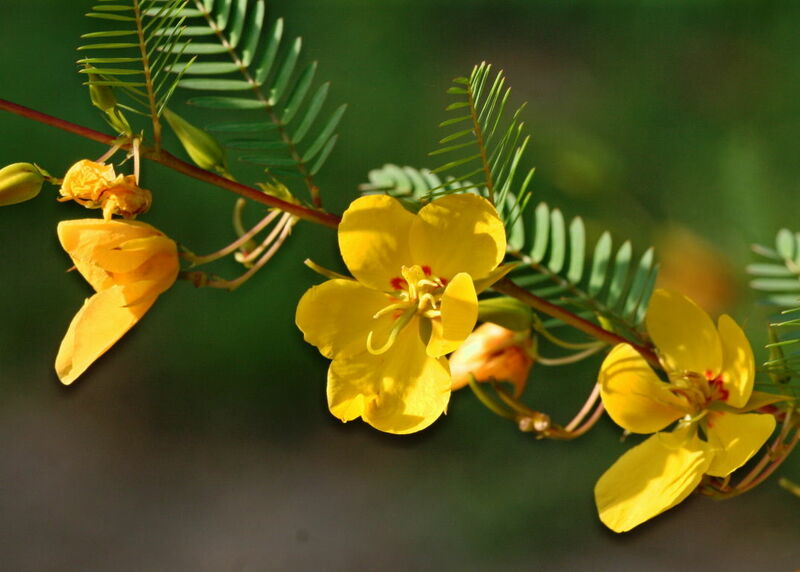 It forms large, dense clusters of yellow-gold flowers on stalks that reach four feet high. Its leaves are similar in appearance to A. millefolium. 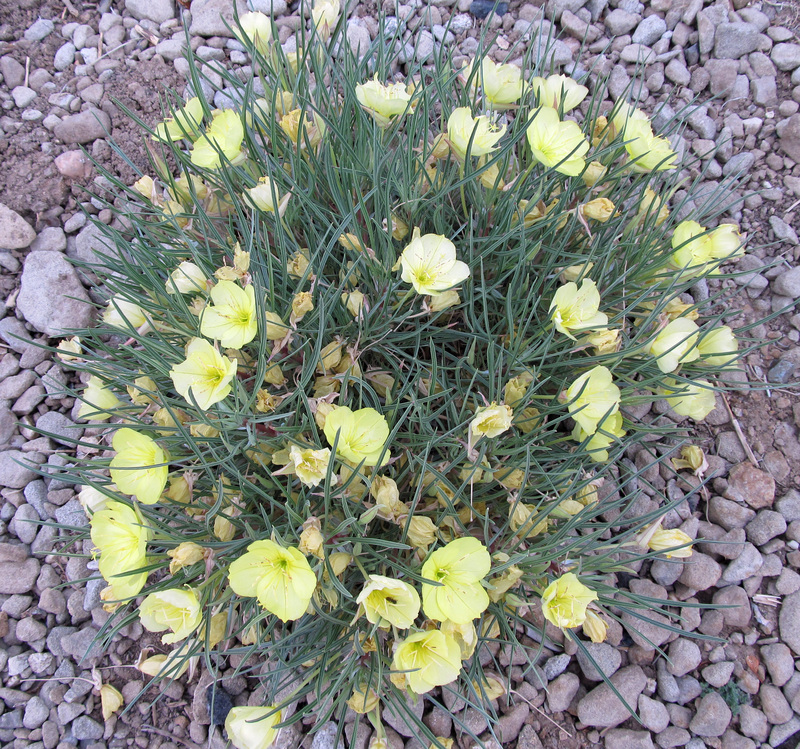 Various cultivars are available, most of which have flowers that are varying shades of yellow or gold. 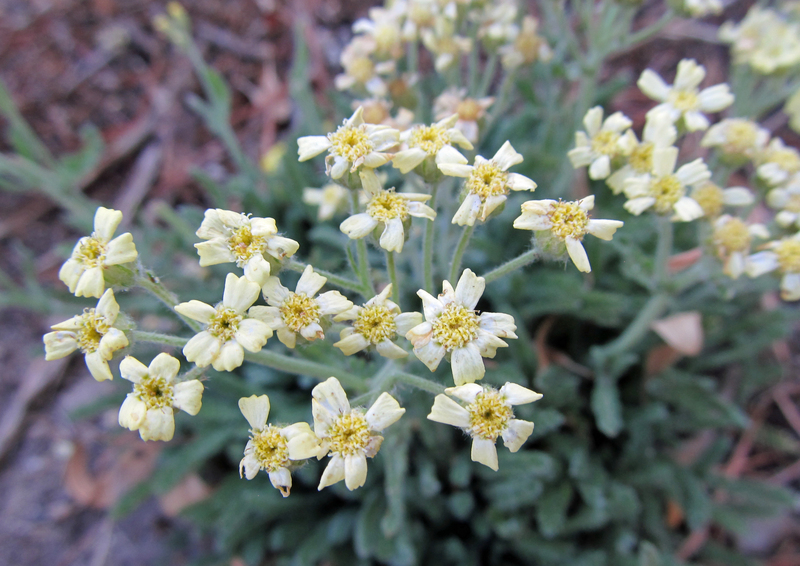 Achillea alpina, Siberian yarrow, only gets about half as tall as A. filipendulina. It occurs in Siberia, parts of Russia, China, Japan, and several other Asian countries. It also occurs in Canada. 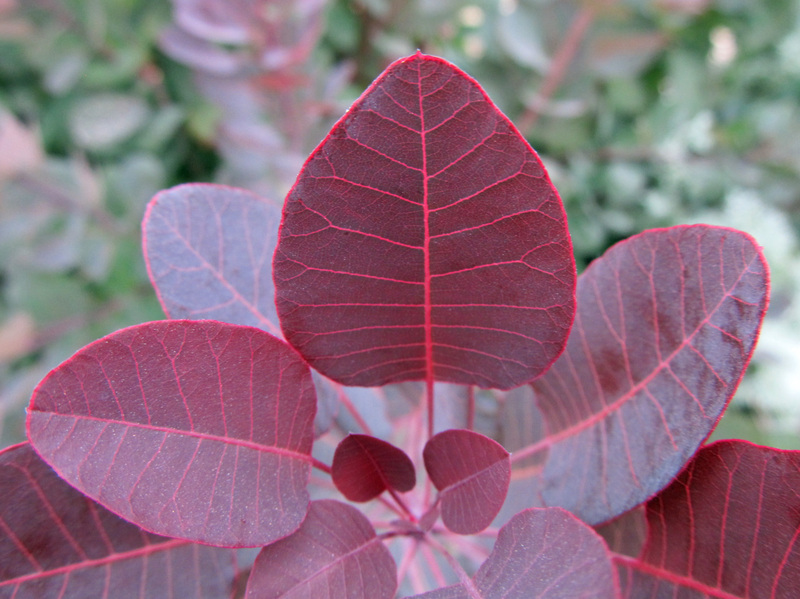 Unlike most other species in the genus, its leaves have a glossy appearance and are thick and somewhat leathery. Its flowers are white to pale violet. A. alpina is synonymous with A. sibirica, and ‘Love Parade’ is a popular cultivar derived from the subspecies camschatica. Achillea x lewisii ‘King Edward,’ a hybrid between A. tomentosa (woolly yarrow) and A. clavennae (silvery yarrow), stays below six inches tall and forms a dense mat of soft leaves that have a dull silver-gray-green appearance. 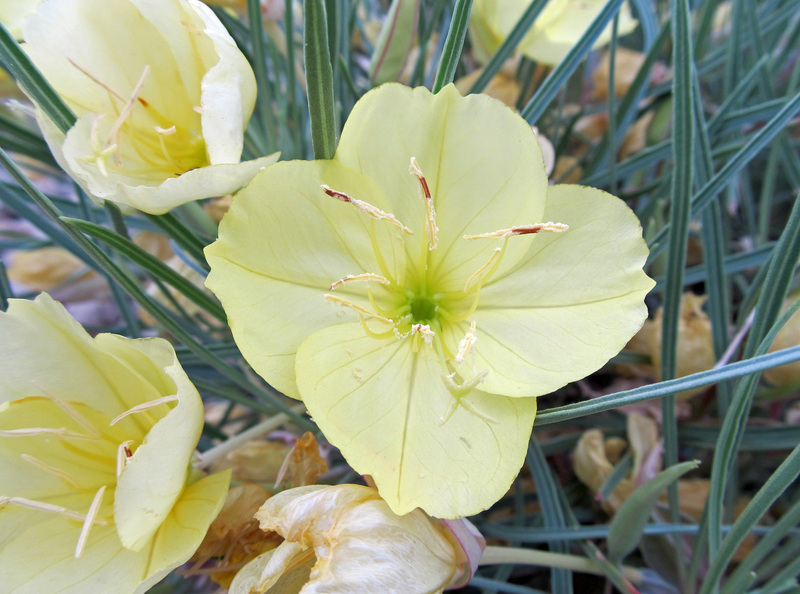 Its compact clusters of flowers are pale yellow to cream colored. Cultivars of A. tomentosa are also available. 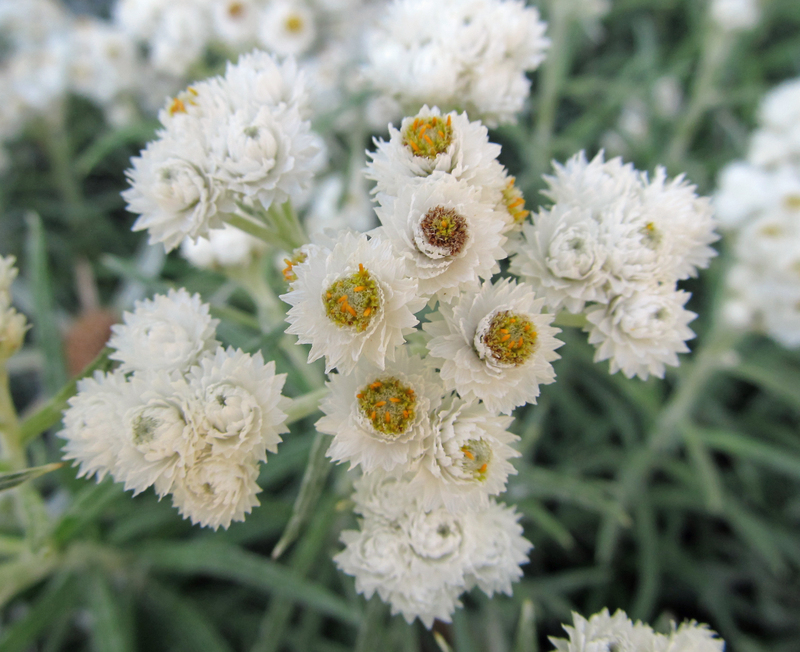 Achillea ptarmica, a European native with bright white flowers, and A. ageritafolia, a native of Greece and Bulgaria that is low growing with silvery foliage and abundant white flowers can also be found in the horticulture trade along with a handful of others. 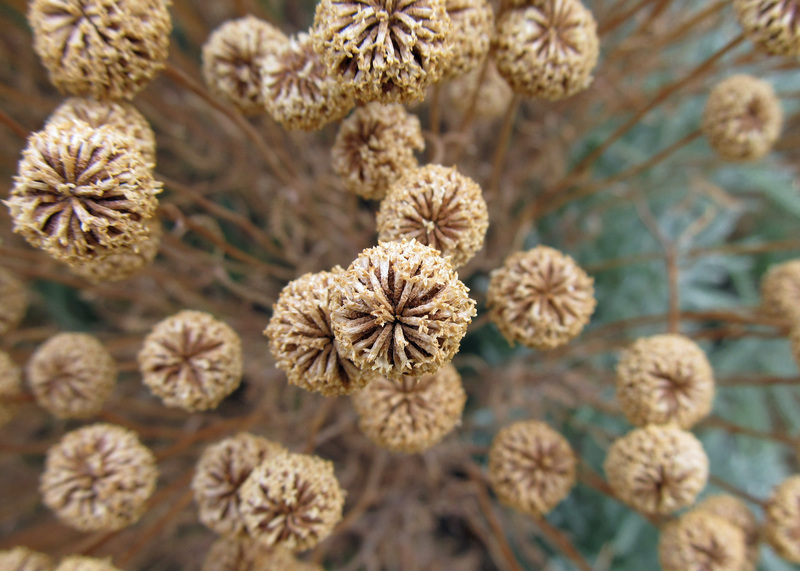 Whatever your preferences are, there is a yarrow out there for you. 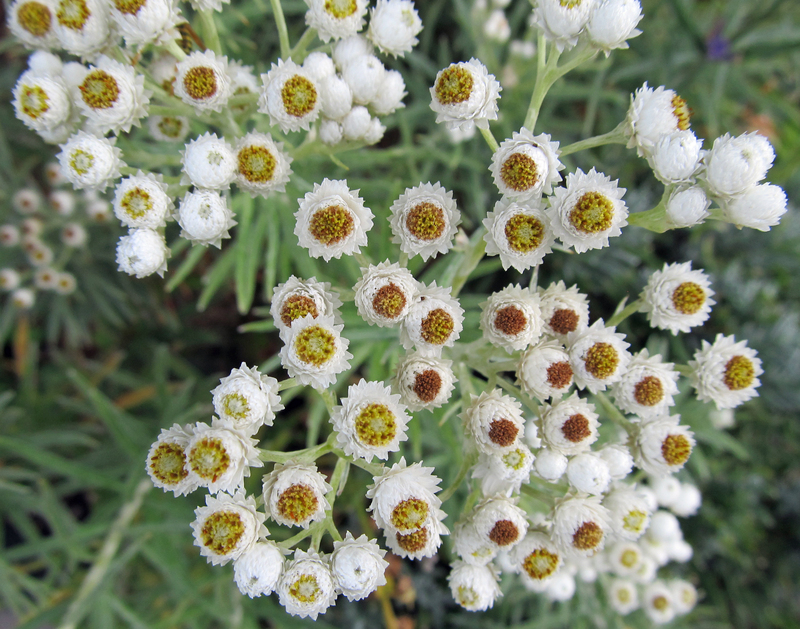 Invasiveness and potential for escape into natural areas should always be a concern when selecting plants for your garden, especially when considering a plant as robust and successful as yarrow. 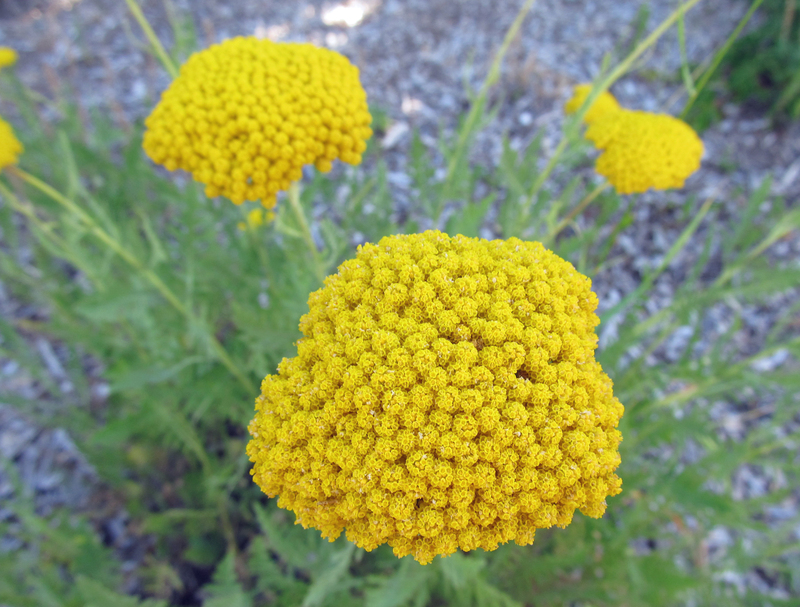 That in mind, yarrow should make a great addition to nearly any drought-tolerant, wildlife friendly garden. When I first developed a real interest in plants, I was in the heyday of my zine writing career. As my interest in gardening grew, writing a zine about it became inevitable. Initially I envisioned the zine as a journal of sorts – the journal of a budding horticulturist (pun intentional). Since I was new to gardening – and plants in general – the zine was meant to follow my journey as I explored this new world. A zine needs a name though, so what would I call it? It didn’t take long for me to land on, The Juniper. I was familiar with a common disdain for the unsightly, overgrown, neglected, evergreen shrub full of spiders and cobwebs that for whatever reason was at one point planted right outside just about every house in America (a fire hazard, by the way). I was aware that many people were resorting to tearing them out, cursing as they battled the pokey, dirty, half dead things. 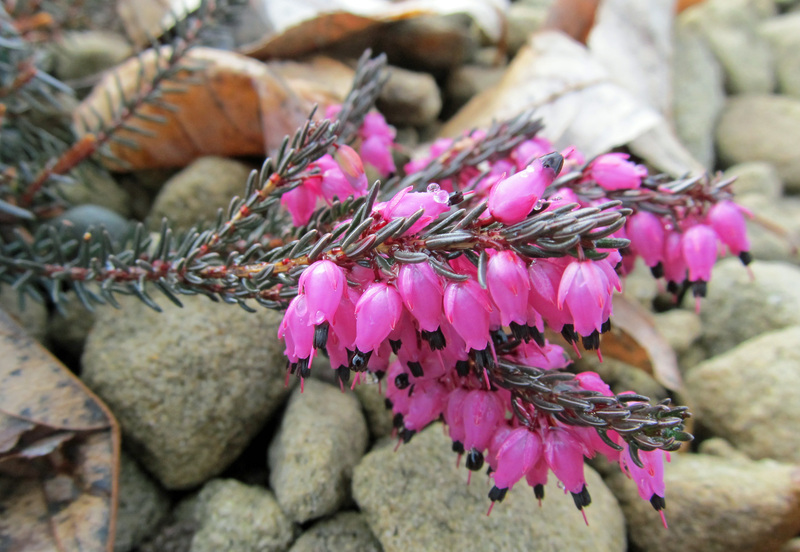 That was basically all I knew about junipers – they were common landscape plants that were just as commonly despised. 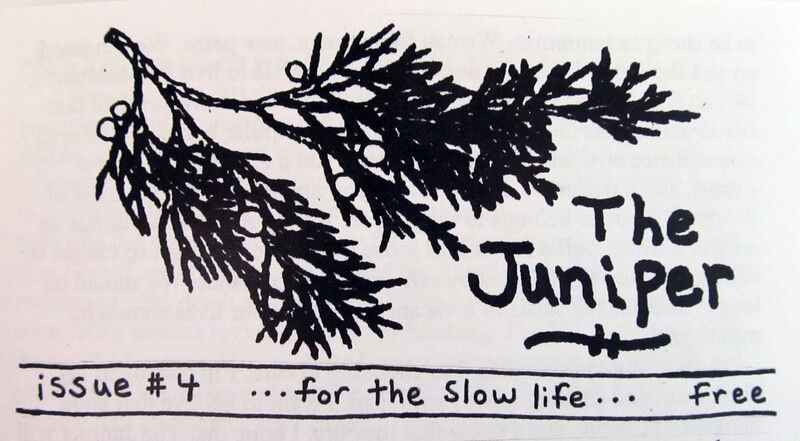 My affection for freaks, geeks, outsiders, and rejects led me to name my zine after a shrub that everyone hated. I guess I just felt like we had something in common, and that despite being the bane of people’s existence, it deserved some recognition. In the Colorado Plateau this zone is dominated by Pinus edulis and Juniperus osteosperma, with J. scopulorum occupying drainages with more moisture. In the Great Basin, P. edulis is replaced by P. monophylla as the dominant piñon pine, still mixing with J. osteosperma, yet as one moves west, this juniper is increasingly replaced by J. occidentalis. Move farther north, and J. occidentalis dominates completely, with neither piñon pine making an appearance. The genus Juniperus is in the cypress family (Cupressaceae) and includes up to 67 species, at least 13 of which are native to North America. They are long-lived plants that range from prostrate, sprawling groundcovers to expansive, bushy shrubs to tall, narrow trees. 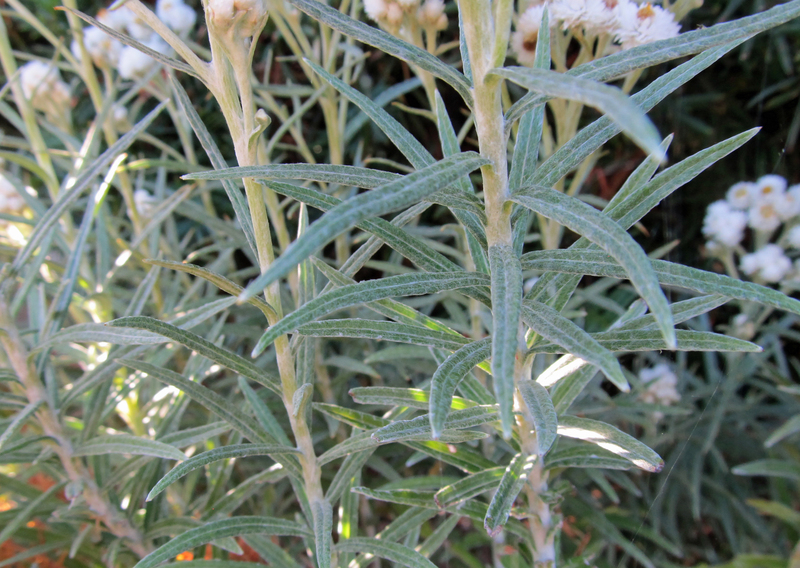 Their foliage is evergreen and can be either needle-like or scale-like. Most juniper species have needle-like foliage in their seedling and juvenile stages and then scale-like foliage at maturity. Some species, like J. communis, never develop scale-like foliage. Junipers are gymnosperms, so their reproductive structures are housed in cones. 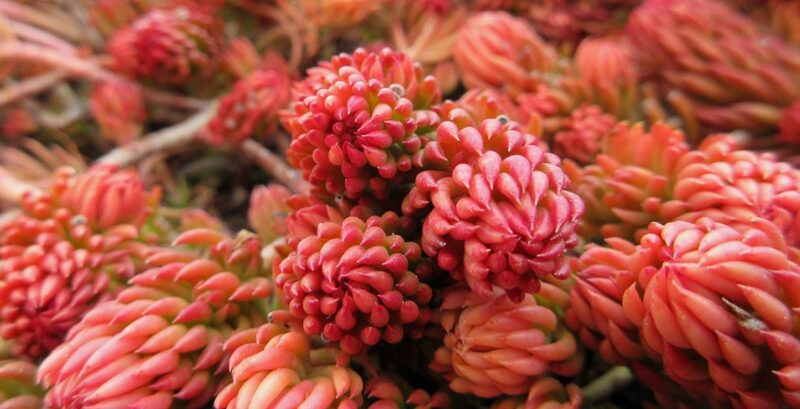 However, their cones are fleshy and so are commonly (and mistakenly) referred to as berries or fruits. Juniper cones are most often blue or gray-blue, but in some species they have a red, brown, or orange hue. 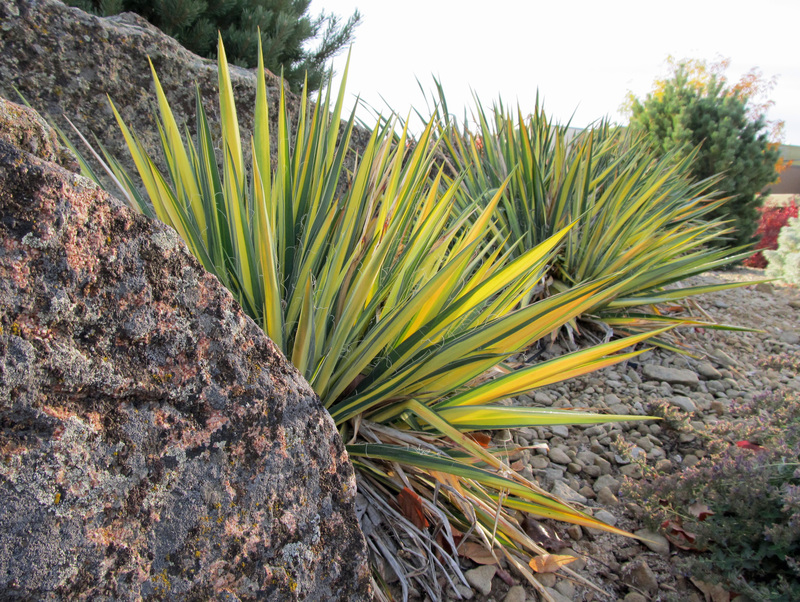 In general, junipers are quite drought tolerant, particularly those species that are adapted to hot, dry climates. Again referring to piñon-juniper steppes, Johnson writes, “in prolonged periods of drought, the piñon pines seem to suffer long before the junipers; whole hillsides of pine may go brown, leaving islands of olive-green juniper relatively unscathed.” In the book, Shrubs of the Great Basin, Hugh Mozingo attributes this drought toughness to the scale-like leaves: “Because they are smaller and so closely appressed to the twigs, these scale-like leaves are a superior adaptation to the frequently very dry conditions in piñon-juniper communities.” This herculean ability to survive on little water makes them a great addition to a dry garden. But we may first have to get over our disdain for them. 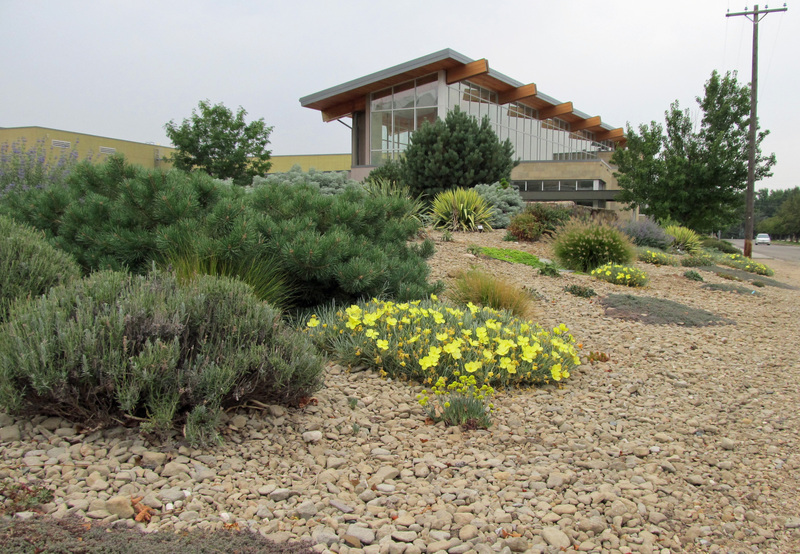 As this post on Chicago Botanic Garden’s website puts it: “Junipers have suffered from overuse and underimagination.” (This article also examines our hatred of juniper bushes). Probably a bigger problem is that, like so many other plants used in a landscape, mature height and width often isn’t taken into consideration, and rather than removing a plant when it gets too big for the site, sheers or a hedge trimmer are regularly deployed. I’m not a huge fan of the sheered look. I much prefer a more natural form to the boxes and globes that are so common in commercial and residential plantings. I’m even less of a fan of the misguided inclination to force a plant to fit in a space that it isn’t meant to be (unless you’re a bonsai artist, I guess). 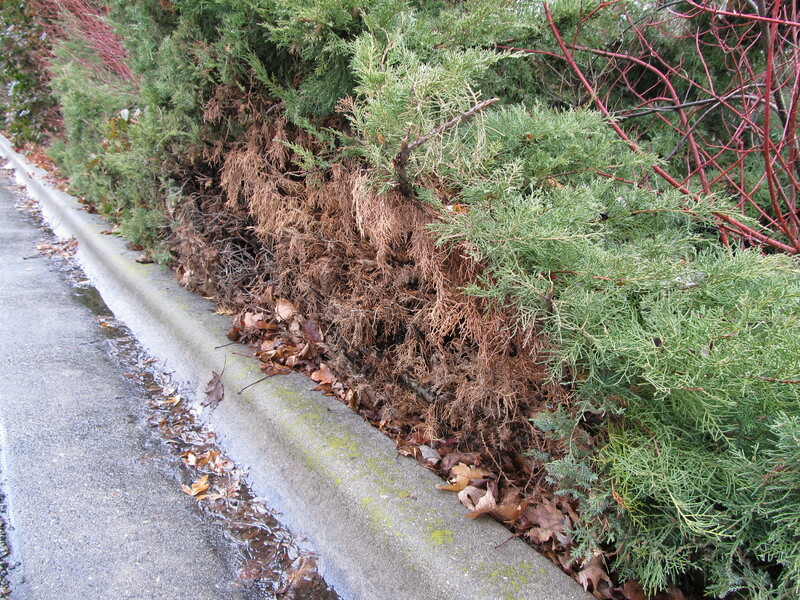 This treatment is what leads to exposing the ugly, brown insides of a juniper shrub – an unsightly look that only makes people hate them more. Brown insides of juniper shrub exposed after years of forcing the plant to fit in an improper site. There are numerous commercially available cultivars of juniper species, offering a plethora of sizes, shapes, and forms as well as various colors of foliage. For small or narrow areas, select dwarf varieties or columnar forms that won’t need to be kept in check, and in all cases let the plant express its authentic self, controlling the urge to sheer and shape it against its will. As if their natural beauty and low water requirement wasn’t enough, junipers are also great for supporting wildlife. Birds and other animals use them for cover and for nesting sites. The fleshy cones are edible, the shredding bark is used for nesting material, and the evergreen foliage provides much needed protection during winter months. Oh and, among many other benefits that junipers offer humans, their aromatic, fleshy cones have culinary value and are used to flavor gin. I don’t want to leave the impression that I am opposed to pruning and shaping shrubs. For aesthetic reasons, I think it should be done. However, my opinion is that unnatural shapes should be avoided. Sure, boxed hedge rows have their place in certain types of gardens, but my preference is towards more natural shapes. The following video by University of Illinois Extension provides a brief tutorial on how to achieve that. The second section of Evelyn J. Hadden’s book, Hellstrip Gardening, is all about the unique challenges and obstacles one faces when gardening in that stretch of land between the sidewalk and the road. I highlighted some of those challenges last week. This week we are into the third section of Hadden’s book, the part that is all about designing, building, and managing a curbside garden. As I have read through this book, I have begun to look at hellstrips in a much different light. They are no longer boring sections of yard with little potential, but instead are full of possibility and have unique characteristics involving publicity and functionality that are absent from most of the rest of the urban landscape. Now that we are in the creation phase of the book, this fact becomes abundantly clear. 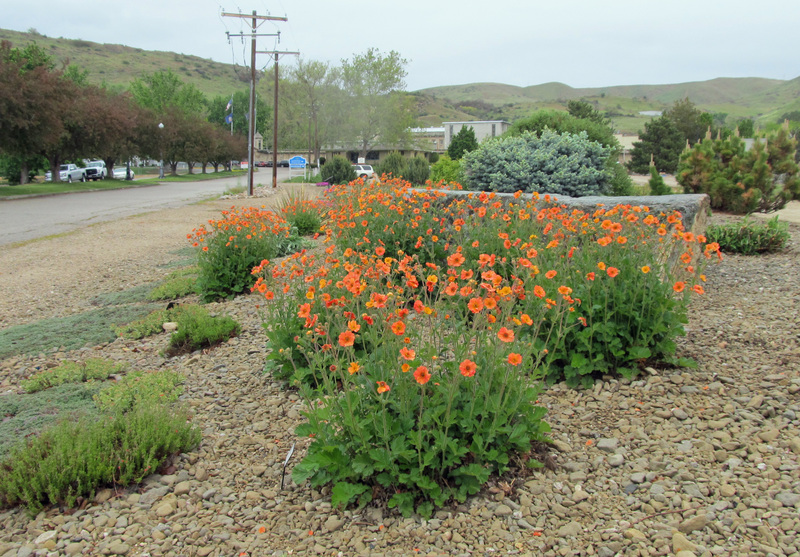 When deciding how to design and plant your curbside bed, it is important to consider – along with aesthetics – the functions you wish to achieve (storm water runoff collection, food production, wildlife habitat, etc.) as well as how you are going to maintain it. You may decide to embrace minimal maintenance with a mass planting of a single species or mass plantings of a handful of species in sections called drifts. This can be very attractively done, but it also has the risk of a disease or pest wiping out a section of plants. A mass planting of ground covers acts as a living mulch and will eliminate the need to replenish non-living mulch. Hadden provides descriptions of a few styles of garden design, such as formal, naturalistic, cottage garden, and stroll garden, each with their virtues and limitations. Growing food is also an option in a hellstrip. If this is the option you choose, keep the bed looking full by intermixing flowers and crop plants, growing perennial crops, and staggering planting times. Ultimately the style of the garden is the preference of the gardener; however, the environmental conditions of the hellstrip must also be a consideration. Because hellstrips are by nature public gardens, they are the ideal place for plants that appeal to the human senses – plants that invite interaction. Hadden calls these plants “friendly plants.” They are plants that are aromatic, have interesting textures and bold colors, “feel great underfoot,” have “aesthetically pleasing symmetry,” and have unusual flowers or unique foliage. Hadden asserts that, “plants that invite touching engender good will,” so consider the ways that your hellstrip might make you a better neighbor. Their public nature also means that hellstrip gardens are not the place for rare and valuable plants, and instead are ideal for easily replaceable and self-repairing plants. This includes perennials that are easily divided, shrubs that reproduce by layering, creeping plants that send out runners, and plants with seeds that are easily collected and can be sown in bare spots. One option is to plant only annuals. 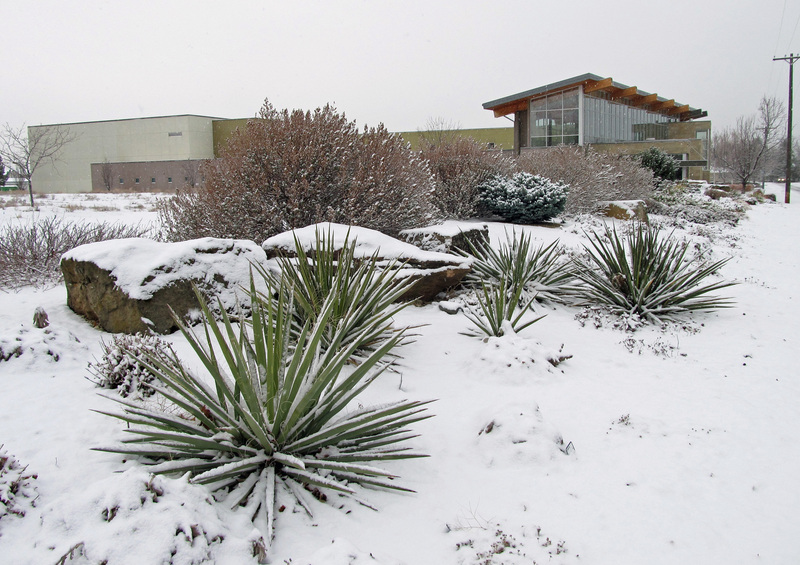 This eliminates the loss of plants during the winter when snow, sand, and/or salt are deposited in the beds by road clearing equipment. 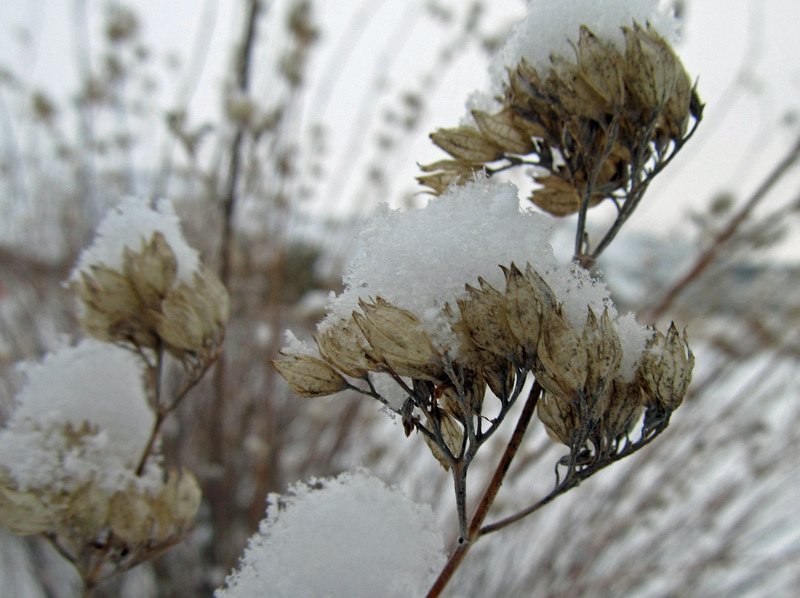 Just be sure to protect the soil with mulch or a cover crop during the cold months of the year. A hellstrip is also an ideal location for an alternative lawn. Traditional lawns require loads of water and fertilizer and regular mowing in order to stay looking good. There are lots of other grasses and ground covers available now that are drought tolerant, require little or no fertilizer, don’t need to be mowed often or at all, and are still very attractive. Hadden has a website all about lawn alternatives called Less Lawn. When selecting plants for your hellstrip garden, consider the conditions it will have to endure. 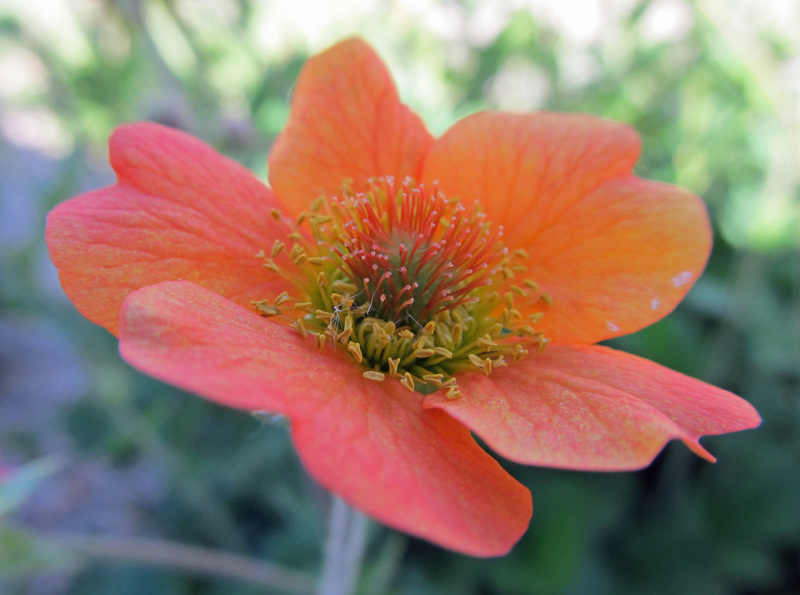 Unless you want to make serious amendments in order to accommodate certain plants, it is probably best to choose plants that are already adapted to your site. One way to determine this is to observe sites similar to yours and see what is thriving there; particularly make note of plants that look like they have been there for a while. Also, feel free to ask local experts at garden centers and public gardens what they might recommend for your site. “Diverse topography makes a more visually interesting garden, and it adds microclimates, letting you grow more diverse plants.” Shaping a curbside bed can also serve other functions such as softening traffic noise, defining pathways, collecting runoff, and providing wildlife habitat. When building a large berm, first create a rocky base and then fill in the spaces between the rocks with sand and small gravel. After that, add topsoil and firmly pack it down with machinery or a rolling drum. Small berms can be formed by simply piling up excess soil or turning over sections of sod and piling them up. Maintain good plant coverage on berms in order to reduce erosion, and consider planting shrubs with extensive root systems like sumac (Rhus sp.) 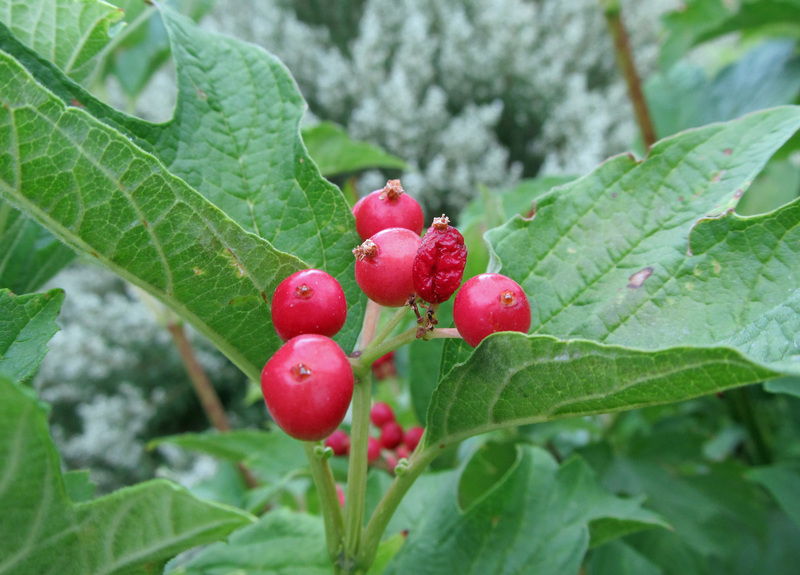 and snowberry (Symphoricarpos sp.). Hellstrips are ideal locations for rain gardens and bioswales since they are typically surrounded by impervious surfaces. Storm water can be directed from these surfaces into your rain garden, thereby reducing the amount of storm water runoff that must be handled elsewhere. Hadden provides a brief overview on how to construct a rain garden; the process is too detailed to go into here. If you are serious about building one, it is important to do your research beforehand to be sure that it is built properly. There are several great resources available; one that I would recommend is Washington State University Extension. Time spent managing and maintaining your hellstrip garden can be greatly reduced when it is well planned out, contains plants that are suited to the site, and has good soil health. Helping you achieve these things is essentially what Hadden’s book is all about. Watering properly and wisely is key to the success of your hellstrip garden. 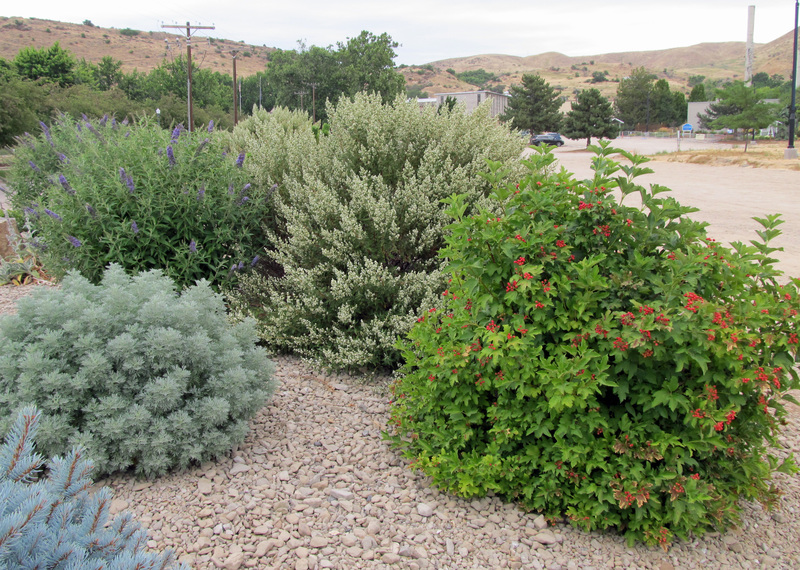 Hadden suggests organizing plants into “irrigation zones,” separating those that need little or no water from those that need frequent or regular watering. When you do water, water “thoroughly and infrequently to maximize deep root growth and drought resistance.” Consider installing a drip irrigation system, particularly one that will direct the water to the roots of the plants and deliver it slowly. Avoid watering areas where there are no plants, as this encourages weed growth. Mostly likely you will be doing some amount of trimming and pruning in your hellstrip. Consider how you will handle this plant material. You may choose to cut it up into fine pieces and leave it as mulch; or maybe you have a compost pile to add to. Large woody materials can be placed in a section of your property set aside for wildlife habitat. Choosing plants that will not outgrow the space will reduce the amount of pruning you will need to do. As much as Hadden is an advocate for alternatives to conventional lawns, she is also an advocate for reducing the use of gas-powered leaf blowers. Nobody enjoys hearing the clamor of a smelly, polluting leaf blower echoing through the neighborhood, so be a good neighbor and use a broom or rake instead. You will probably enjoy the task more as you listen to nature, get some exercise, and revel in your garden. Continued focus on building healthy soil is paramount to the ongoing success of your curbside garden. Continue to add organic matter by letting some of the plant litter lie and decompose. Plant nitrogen fixing species like lupines (Lupinus sp.) and false indigos (Baptisia sp.). As much as possible avoid compacting the soil, especially when it is wet, and keep tilling and digging to a minimum once the garden is planted. Again, this is only a fraction of what Hadden discusses in this section of her book. Consult the book for more of her wisdom. The final section of Hellstrip Gardening is a long list of plants that are “curbside-worthy” complete with photos and descriptions. Next week’s post will be all about a particular type of hellstrip garden that employs a subsection of those plants.